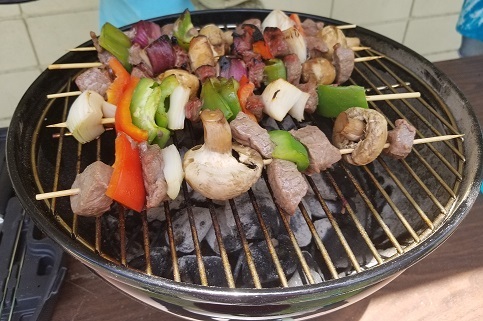 Summer is in full swing in Wakulla County, and with the recent Independence Day celebrations and the upcoming Labor Day weekend, outdoor grilling will be a popular pastime. Cooking on the grill can be fun and flavorful, but it is important to follow a few simple rules to ensure safety. Whether using a gas or charcoal grill, having the right tools is important. Use tools made for grilling, such as long-handled metal tongs, turners, and forks. These are heat-resistant and allow food to be handled from a safer distance away from the fire. Regular kitchen tools, especially those made of plastic, are not adequate for grilling. If using lighter fluid to start a charcoal grill, apply an adequate amount of fluid to the coals and let it soak in before attempting to light it. This will help ensure a more sustainable fire. Also, use a long lighter for safer ignition. Never apply lighter fluid to an open flame, as the flame could potentially follow the stream of fluid backwards, causing injury. Soak wooden skewers in water for at least 30 minutes before using them on the grill. This will help prevent them from catching on fire while the food is cooking. On that same note, it is recommended that a small fire extinguisher be kept close by to put out any potential fires that may occur. Scrape the grill grate after each use with a grill brush or ball of heavy duty aluminum foil to remove burned bits of food and other debris, which can be a fire hazard if left on the grill. Always handle a hot grill with appropriate heat-resistant gloves to prevent burns. Food safety is important. Never marinate foods at room temperature. Store them in the refrigerator – or in a chest filled with ice if a refrigerator is not available – during the entire time they are marinating. Never reuse meat marinades, though vegetable marinades may be used for basting. Keep raw and cooked foods separate, including the dishes and utensils used with them. Ideally, use separate sets of plates and utensils for raw and cooked foods. However, if this is not possible, be sure to wash and sanitize any plates and utensils used with raw meats before using them again with cooked meats. Make sure to cook food thoroughly to its recommended internal cooking temperature. For poultry, the recommended temperature is 165 degrees Fahrenheit. For ground beef, the recommended temperature is 160 degrees. For whole cuts of beef and seafood, the recommended temperature is 145 degrees. Use a properly calibrated food thermometer to accurately measure the temperature. Once food is cooked, do not leave it sitting out for longer than two hours at indoor room temperature. If serving and eating outside, this time is reduce to one hour, since the warm, humid weather provides the perfect environment for bacteria to reproduce rapidly. Keep cold food cold in the refrigerator or ice-filled cooler. Avoid burning or charring food on the grill, as charred food has been linked to increased cancer risk. Consider cooking fattier foods such as bacon on a grill tray or layer of aluminum foil to prevent excessive fat from dripping onto the coals, leading to potentially dangerous flare-ups. Outdoor grilling is a great way to prepare food for sharing with family and friends. By following a few simple safety tips, grilling can be a safe and delicious experience. 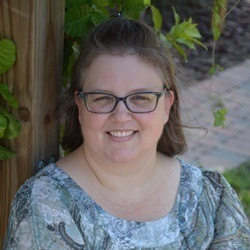 For more information about grilling safety, food safety, or recipes, please call Samantha Kennedy, Family and Consumer Sciences agent, at (850) 926-3931. For more information on safe grilling, please check out the UF/IFAS Extension document, Grilling Food Safely. For more information about our upcoming Back-to-School BBQ Competition, please click here.